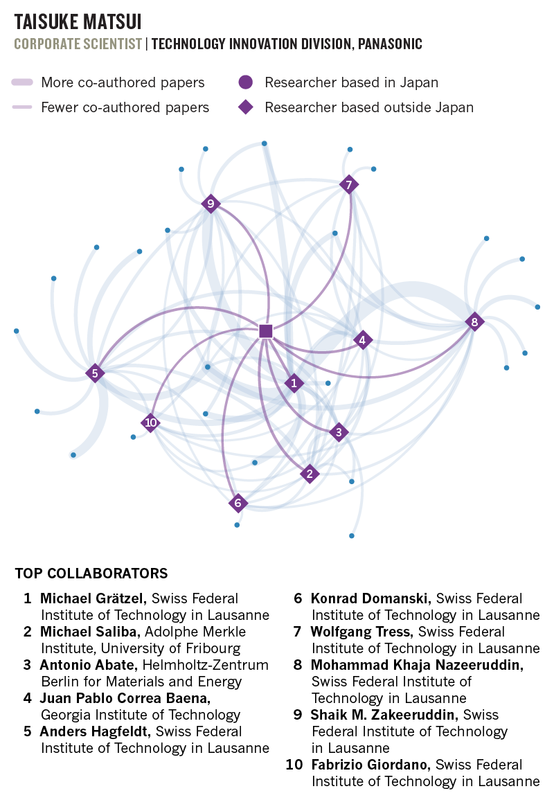 These researchers stand out for the strength of their international collaboration networks. From engineering novel materials, to tackling the scourge of ticks in livestock, and capturing solar power from building surfaces, they are leading the way in creating human connections to enrich Japanese science: bringing global research to Japan, and taking Japanese research to the world. 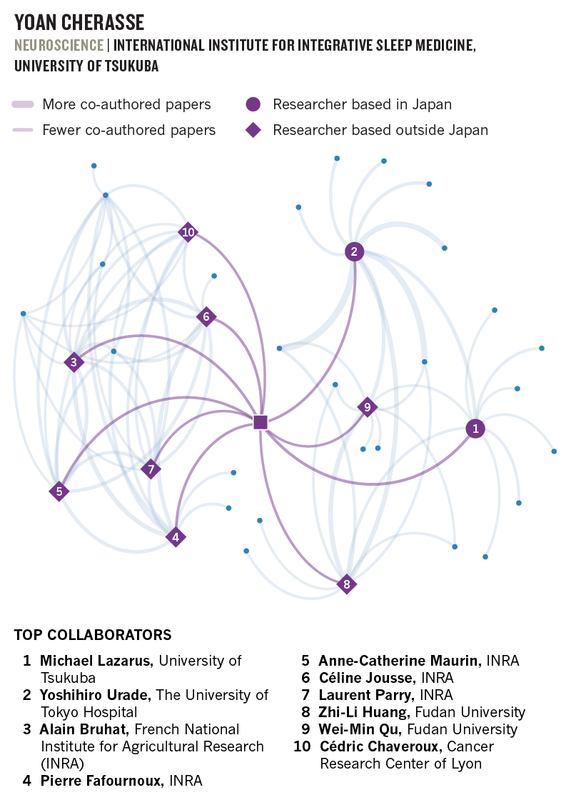 A prolific chemicals engineer forges a path for Japanese scientists abroad. 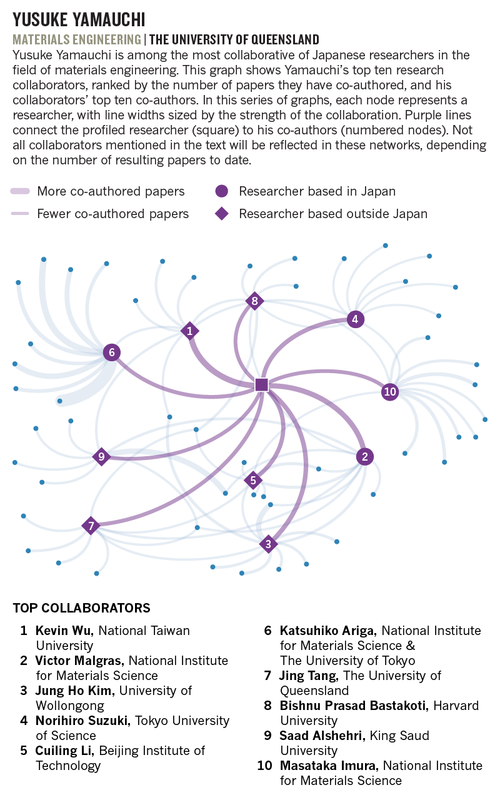 Researchers outside the country can be just as pivotal to strengthening Japan’s international scientific collaboration as those working on home turf. Yet they are relatively rare. 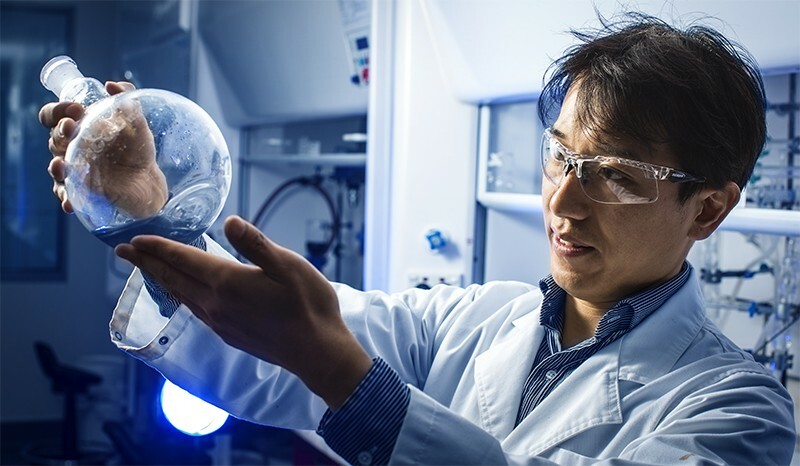 At The University of Queensland, a leading Australian university in the subtropical coastal city of Brisbane, for example, materials engineer Yusuke Yamauchi is one of fewer than a dozen Japanese-born academic staff among more than 6,000 in total. Yamauchi says it’s his research success that protects him from feeling isolated. Being on the Clarivate Analytics Highly Cited Researchers list in chemistry for three consecutive years opens many doors. 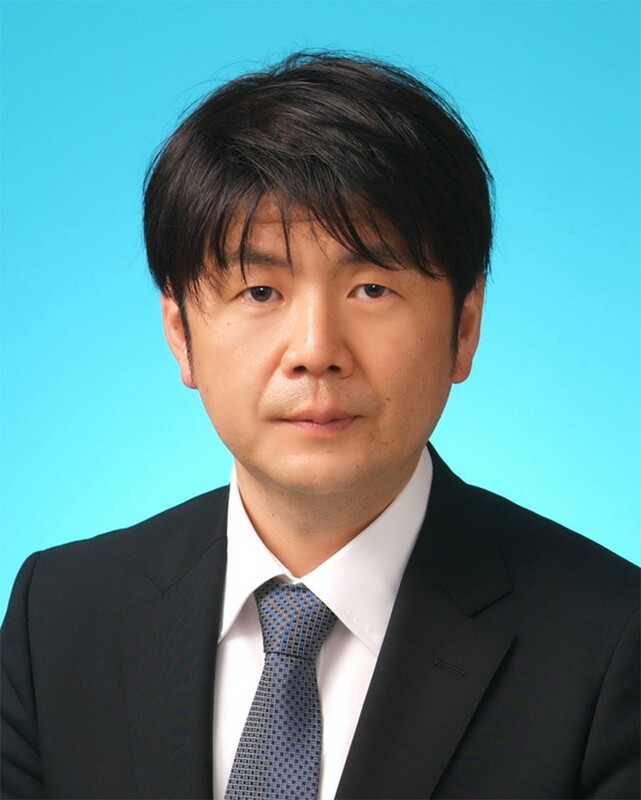 Yamauchi has published more than 600 papers since he was hired to start his own research group at Japan’s National Institute for Materials Science (NIMS) after earning his PhD in 2007. His is a ‘hot’ field. By combining metals with organic substances, he creates nanocrystals and nanoporous materials with greatly enhanced reactive surface areas. Such materials have numerous potential applications, from batteries and fuel cells, to photonic devices and chemical sensors. Yamauchi moved to Brisbane in 2017. His current research grants amount to Au$1.7 million (US$1.2 million), mostly from the Australian Research Council, but also from the government of South Korea and an Australia–Japan collaborative programme backed by the mining giant Rio Tinto. 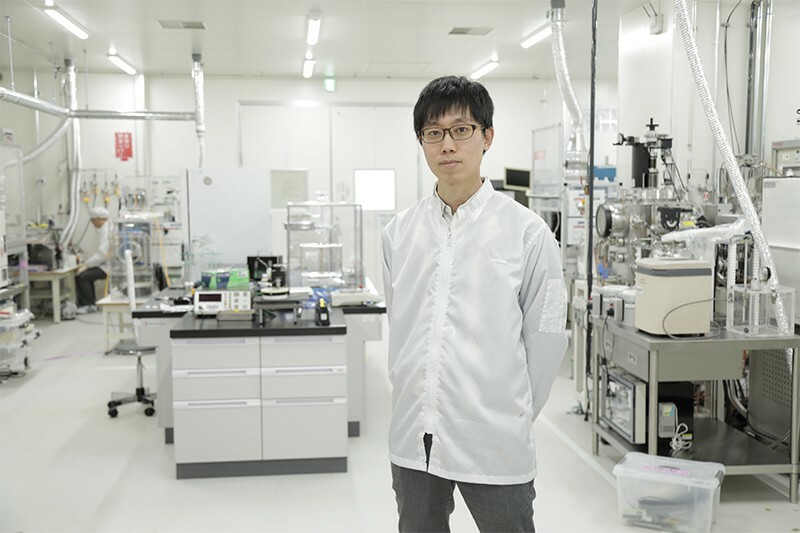 In that project, awarded in January 2019, Yamauchi’s group is working with chemical engineers Tatsuya Okubo and Toru Wakihara of The University of Tokyo (UTokyo) on porous nanomaterials to convert carbon dioxide and nitrous oxide into high-value hydrocarbons used in materials manufacturing. Yamauchi has been instrumental in establishing collaboration agreements between The University of Queensland and both UTokyo and NIMS, where he remains an honorary group leader. He is also a visiting or honorary professor at other universities in Australia, China, Saudi Arabia and Japan. Close links with these countries are reflected in his collaboration network. Australia is attractive as a safe and peaceful country with a compatible time zone, yet the number of students from Japan is remarkably low in relation to other Asian countries, Yamauchi notes. In 2017, there were some 2,000 students from Japan enrolled in Australian higher education, compared with more than 140,000 from China, 52,000 from India and some 30,000 each from Malaysia and Singapore. He believes great things can flow from partnering Japan’s hi-tech industrial prowess with Australia’s bountiful natural resources. Another clear lure is the funding opportunities in Australia, Yamauchi says. He wants young researchers who jump prematurely to industry due to the scarcity of academic research positions in Japan to look to Australia instead. But many are afraid to move overseas, partly due to inadequate English skills, he says. A chemist flashes powerful laser beams on tiny molecules to study, and even modify, their structure. Hironobu Fukuzawa spends his working life studying the interactions between photons, atoms and molecules. Due to the development of powerful X-ray machines that shine a light on the detailed structure of matter, scientists have begun to accurately measure the behaviour of materials at the atomic level. Free-electron lasers (XFELs) create short, intense X-ray bursts, taking snapshots, for example, of the moment chemical bonds are formed, in time measured in femtoseconds — a millionth of a billionth of a second. “We can look at any kind of particle,” says Fukuzawa, from the protein molecules in the human body to the chemical composition of new materials. XFEL pulses are so powerful that they typically destroy the molecular assemblies they illuminate. Fukuzawa’s recent results, however, demonstrate that they can also be used to modify and transform molecular structures. The research opens up almost limitless possibilities, from the development of medical treatments and devices, to materials that haven’t been thought of yet. “It’s exciting work,” he says. Such insights don’t come cheap, so collaboration is imperative. The European X-ray Free Electron Laser, built by a consortium of 11 nations and unveiled in Hamburg, Germany, in 2017, cost more than a billion euros. There are still just a handful of free-electron lasers on the planet: Japan’s RIKEN network of premier research institutes began operating the SACLA free-electron laser (pronounced sakura after the beloved, but ephemeral cherry blossom) in 2011. Researchers work globally and share hardware. Fukuzawa must go “all over the world,” wherever a laser exists, he says. 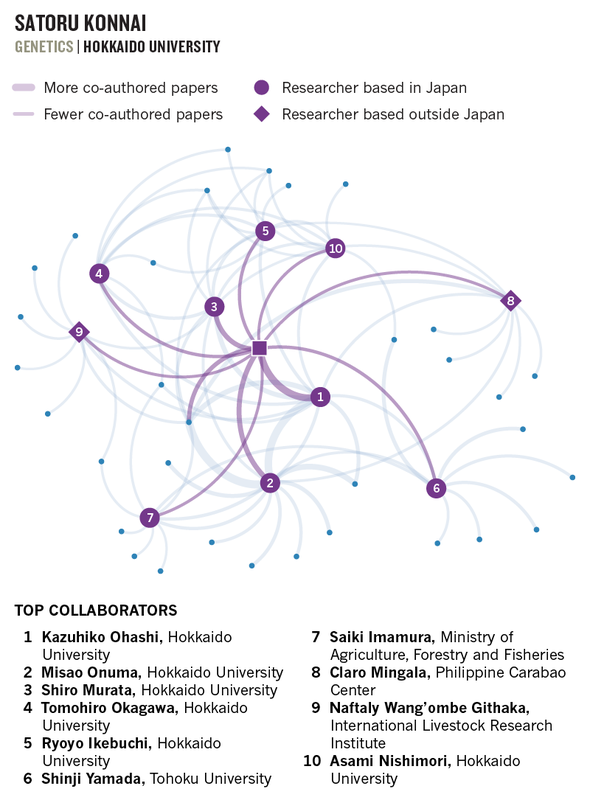 For nearly a decade, Fukuzawa has been co-authoring papers with an international group of experimental researchers and theoreticians. Most recently, he and his colleagues used X-ray lasers to observe, for the first time, the creation of nanoplasma, a gas of ions that occurs at the nanoscale. 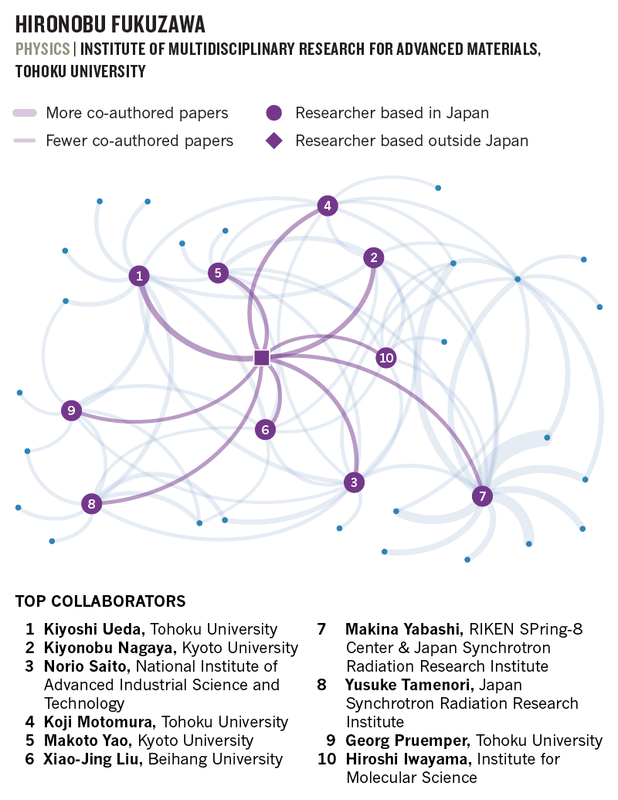 One key framework is a consortium of six collaborating universities in Japan and Germany, including Heidelberg University and the Karlsruhe Institute of Technology. The participating institutions swap researchers and jointly use the SACLA and other facilities. 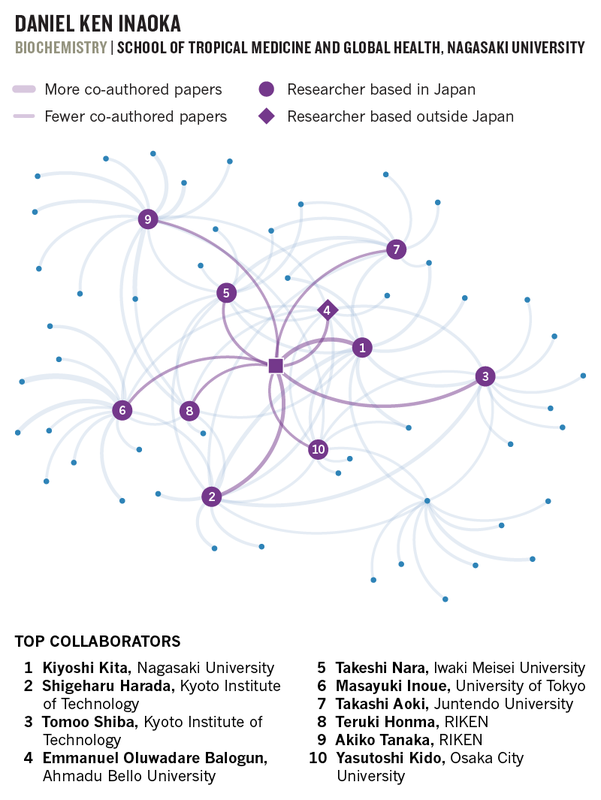 This network is a vital and growing part of Fukuzawa’s work but money is often tight. Fukuzawa thinks there should be a system to allow scientists to regularly travel back and forth between universities instead of the piecemeal funding that exists now. “We should go abroad in larger numbers,” he says, “and bring more researchers to Japan.” He says the travel allows him to compare how things are done elsewhere, and see the relative freedom enjoyed by younger academics. A Brazilian biochemist returns to his ancestral home to tackle parasitic diseases. Daniel Ken Inaoka grew up in Brazilian port cities, where parasitic infections were common. He remembers losing childhood friends to malaria, and contracting an intestinal roundworm. Parasites preoccupy the biochemist. 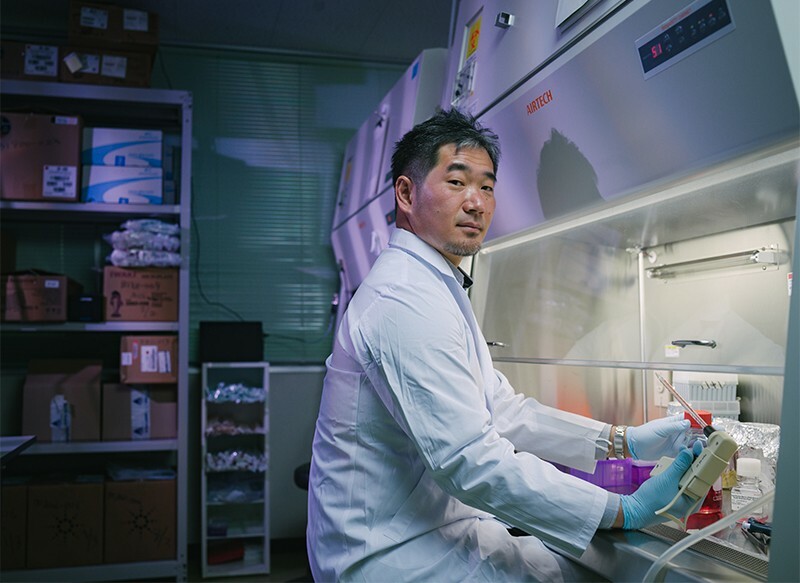 In 2000, Inaoka moved to his parents’ home country of Japan to complete his graduate degrees at The University of Tokyo (UTokyo), where he studied the protozoa that causes Chagas disease. Now at Nagasaki University, Inaoka is finding ways of evicting the body’s dangerous tenants. He and his collaborators have recently identified potential drug targets for the deadly malaria-causing species Plasmodium falciparum. Their investigations of parasites have even uncovered new leads for supressing tumours. Inaoka goes straight to the cell’s power source: the mitochondria. In humans, these tiny energy generators are fuelled by oxygen. But many parasites live in oxygen-free environments, which means that they rely on an entirely different cascade of chemical interactions to produce energy. One enzyme essential to the survival of P. falciparum, but not found in humans, is quinone oxidoreductase. Inaoka and his team genetically modified Escherichia coli to mass-produce this enzyme. They then worked with Endah Dwi Hartuti, at the Biotech Center of the Agency for the Assessment and Application of Technology, in Jakarta, scouring their library of soil microorganisms, collected from Indonesia’s many islands, for those that could block the enzyme’s activity. The country’s biodiversity makes it rich in valuable compounds, says Inaoka. The search revealed a compound called ferulenol — isolated from the giant fennel plant — which inhibits the malaria parasite’s growth. Several factors contributed to the success of the cross-national collaboration, says Inaoka, including a joint grant and regular communication. “A good collaborator is someone who shares your vision,” says Inaoka. But to sustain the partnership, he says, both sides need to benefit equally. Inaoka favours partners whose work complements his. Plant physiologist, Anthony Moore at the University of Sussex in the United Kingdom is a long-standing collaborator, and Inaoka’s top eleventh co-author on papers. Their partnership goes back to Inaoka’s time at UTokyo, where he still maintains a guest researcher position. A neuroscientist searches for the answer to a good night’s slumber. Lack of sleep in Japan costs the country almost 3% of its annual GDP. The problem, however, is global, says neuroscientist, Yoan Cherasse. He is among a group of scientists at the International Institute for Integrative Sleep Medicine trying to explain why we need sleep, and what happens to our brains when we do. In 2015, Cherasse identified a connection between zinc and sleep-regulation. Mouse models administered zinc at night slept for longer periods. The findings built on studies by other groups looking at the effect of zinc supplements on human sleep. “If you give zinc to a mouse you will increase the amount of sleep, and in humans you increase the quality of sleep,” he explains. Cherasse is using the zinc link to identify the specific neurons involved in promoting sleep. 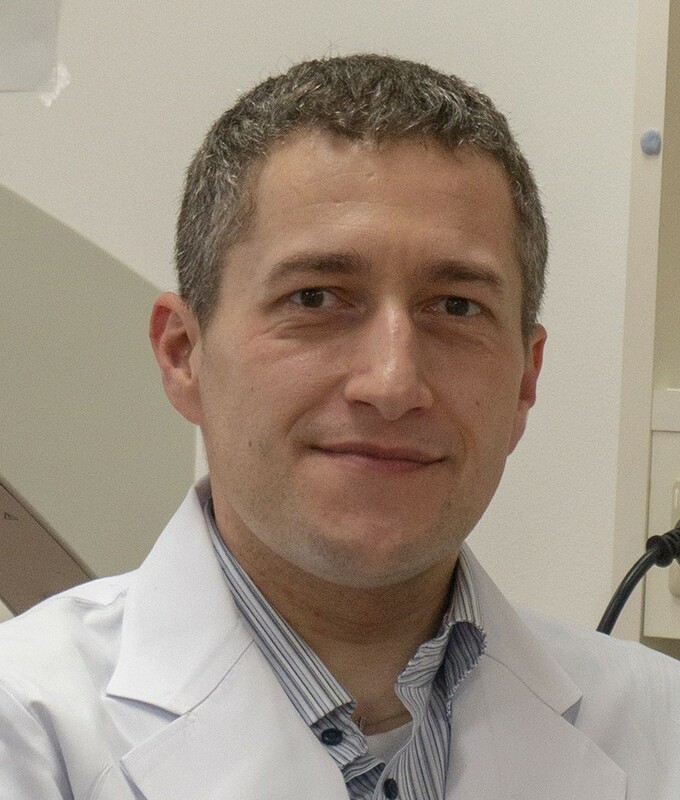 He and his colleagues have located one brain region packed with GABA-generating neurons (gamma aminobutyric acid — the neurotransmitters that inhibit other cells) that respond to the element. “Just a small number of neurons are reacting,” he says. A veterinary scientist uses immunotherapy to fight intractable cancers and viral infections. Satoru Konnai grew up on Hokkaido, Japan’s northern island. Hokkaido accounts for a quarter of Japan’s cultivated land, producing a large share of the country’s adzuki beans, buckwheat, and potatoes, half of its milk, and all of its sugar beets. Now a veterinary scientist at Hokkaido University, Konnai wants his home to remain farming country. And he is doing his part by developing treatments and vaccines for stubborn pests and diseases that afflict livestock. Konnai’s work has taken him to the Philippines and Brazil. Most recently, he and a team of researchers in Brazil determined the sequence of an important receptor involved in tick reproduction, using ticks isolated in Kenya and fed on rabbits in the lab at Hokkaido, and another strain raised on calves in Brazil. The ticks are found globally and feed on a range of hosts. The receptor offers a potential target for controlling the spread of ticks, which transmit parasites that result in millions of dollars’ worth of livestock losses. Konnai’s latest preoccupation has been immune therapy. In this, his work targets PD-1, a protein on the surface of T cells that restricts the immune cells’ activity. By inhibiting PD-1’s activity, he has cleared T cells to go on their patrol. The approach has shown promise in the treatment of bacterial and viral infections in cows, and malignant cancers in dogs. More than a third of Japan’s cattle are infected with bovine leukaemia virus, a retrovirus that can reduce milk production and prevent animal sales to foreign markets. The virus is prevalent across the Americas and Asia. Konnai has found that animals infected with the virus express high levels of the protein that binds to PD-1, known as PD-L1. 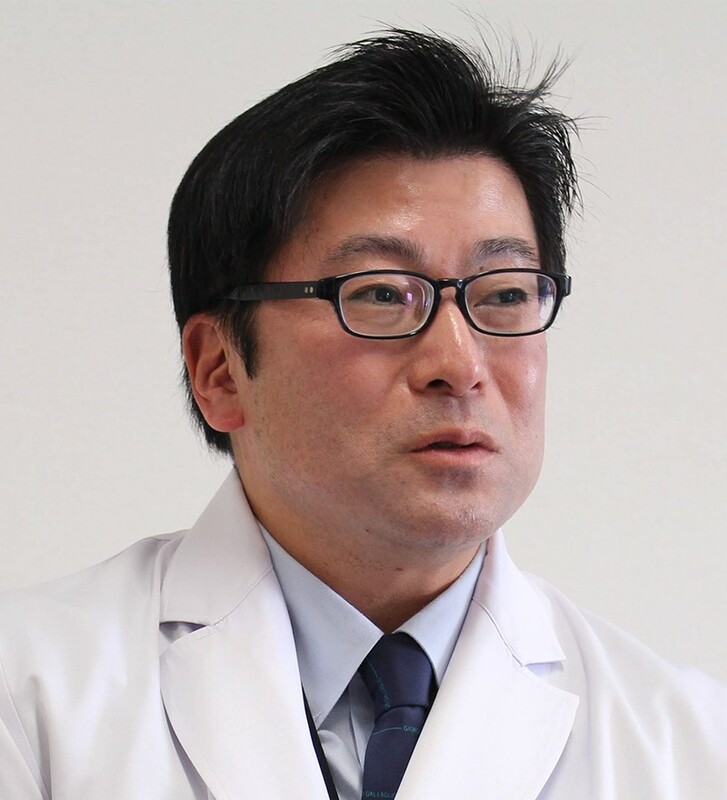 Konnai teamed up with Yasuhiko Suzuki, who specializes in the large-scale production of drug candidates, and is also based at Hokkaido, to create monoclonal antibodies that can target this pairing. They found that blocking the interaction rejuvenated the immune response in diseased cattle cells in the lab, and rapidly increased the number of virus-targeting T cells in a sick calf. His research into canine cancer is probably the most clinically promising of Konnai’s endeavours. A solar cell scientist brings consistency to perovskite photovoltaics research. Taisuke Matsui sees opportunity in the glare of high-rise windows and the glint of car bonnets. These surfaces are valuable real estate for capturing the power of the Sun. And Matsui, a solar cell scientist at Panasonic, believes he has the technology to do it. Matsui’s research focusses on a class of materials called perovskites, which are characterized by a distinct crystal structure. Solar cells made from perovskites can be spray-coated, painted, or printed into rolls, and are half the price of the silicon used in most of today’s photovoltaic devices. The solar industry has been primed for a perovskite takeover for several years. In the lab, researchers have achieved power conversion efficiencies above 20% — on par with commercial silicon cells — but performance has been unreliable and short-lived. In 2016, Matsui, with researchers at the Swiss Federal Institute of Technology in Lausanne (EPFL), published a paper describing a way to produce perovskite cells that are both highly efficient and stable. Their technique is now being used by researchers all over world. It took a bold move from Matsui to initiate the transnational link. In 2014, he travelled from Japan to Switzerland to work at the EPFL for two years. He had just shifted his attention away from organic light-emitting diodes. “I was very nervous at first, because I am not good at speaking English and did not know much about solar cells,” says Matsui. At the time, researchers at EPFL were using a less-well-known perovskite composition that exhibited record power-conversion efficiencies. Making the move was the only way Matsui could study the material. Working closely with EPFL researchers, Michael Graetzel and Michael Saliba, Matsui soon came up with a way to improve the material’s stability. He introduced the relatively small alkali metals, rubidium and caesium, to the mix, which produced solar cells that maintain performance at high temperatures for almost 21 consecutive days. And they repeatedly achieved comparable results, overcoming the reproducibility problem that has dogged perovskite solar cell science. Matsui has since returned to Panasonic’s headquarters in Osaka where he benefits from the expertise of domestic partners, including optical measurement techniques from Osaka University, and calculation methods from Tokyo Institute of Technology.